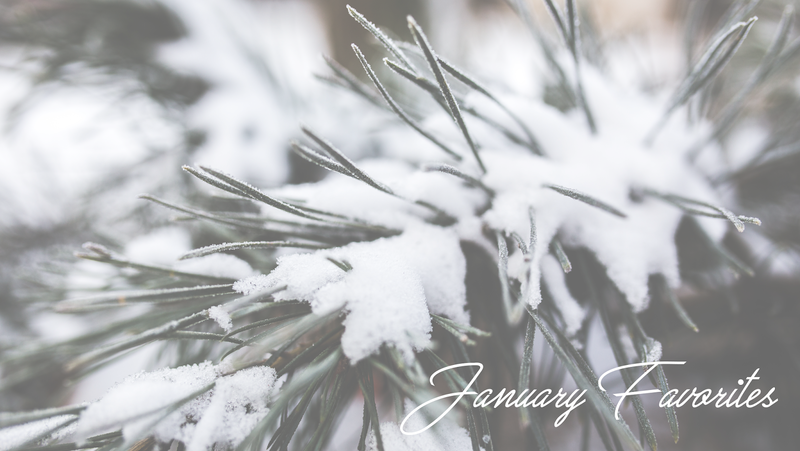 I can't believe January is almost over! This month has gone by so fast! I can't believe how much I've uploaded this month! I've uploaded every other day! And there is still one more post coming this month! It feels so weird to be writing a monthly favorites. My last monthly favorites was July 2016. Yeah.. I dropped the ball in 2016. But now I've back and uploading more than ever. January has been a great month. I've uploaded more than I every have before and I'm loving it! Here are some of other things I've been loving this month! I have a love hate relationship with this polish. Some colors are better than overs. I really love that it dries fast. Some colors stay longer than others. I've been using the black shade a lot recently even though it chips fast. I just love how fast it dries. It usually takes 3 coats not the 1 the bottle suggests. I find all the shade need at least 2. This is an old favorite but I love it so much! It is my go to classic red lipstick! I love this Hydrator so much! It's like rubbing water into my skin! And it makes my skin so soft! Death Note is a Japanese Anime about Light Yagami, a high school student who discovers a supernatural notebook from a Shinigami named Ryuk that grants its user the ability to kill anyone whose name and face he knows. Light quickly grabs the attention of the police and they call in L who is a Private Detective a lot like Sherlock. L begins his investigation into Light who the police are calling Kira. Light needs to find out who L is and see his face to kill him. They begin to race to see you can find who first. It is a really great show! It is in Japanese and you can watch it with subtitles on most steaming services. Netflix also offers an English dub but I prefer to watch in the original Japanese as you can hear the emotion in the actors' voices. Most English dubs so not have that, they are just flat reading of a bad translation. This is the stage show by Dan (danisnotonfire) and Phil (AmazingPhil). Dan and Phil released a book in 2015 and spent all of 2016 on the road preforming a stage show that brought what they did on there YouTube channels to the real world. They toured the UK, USA, Australia, and Europe. During their final US show in Hollywood YouTube filmed the performance and released it on YouTube Red. It is a great show! You kind of need to be a fan of D&P to understand what's going on since the show is nothing but references to their channels and time on YouTube. If you are a fan of them it is an amazing show and is really funny. I love Ro's YouTube channel and her baking show Nerdy Nummies. I was so excited when she release a cookbook. It's been out for quite a while now but I just got it for Christmas. There are a ton of recipes in it and she has a collection of basic recipes at the beginning. I think I might try one of her recipes and post of results here. They all sound so good I don't know were to start. So as I mention D&P released a book in 2015. They released the audio book version too. I finally got it and I love it! I'm not usually one for audio books but this is like a 4 and a half hour podcast with Dan and Phil and it was great. They read the book but they also added comments about things and made jokes about the photos they shared in the book. These headphones are amazing! They are gaming headphones so they have 3D audio which is just awesome! I love the little accents of green on them. They have big pads which go over my entire ear which I really love. I got a Paperwhite for Christmas and I love it! It really is just like reading a book! I'm testing the battery life now so I haven't used it in a bout 3 weeks but I love it and I can't wait to read a ton of books this year! This game is amazing. It's been out forever but I just got into it. I love it! There are so many Easter Eggs and so much story! I love it so much! It's a mush play for anyone! I have uploaded every other day this month! I still can't believe it! I got a planner just before the year started and it has been a god send! I marked all the days I want to upload and write what posts I want to upload as I decided. It has helped me stay motivated and organized all month! I am so happy with where my blog is going! I've been a lot more active on Twitter this month. I don't mean tweeting I'm always tweeting. I've never had a problem with that. But this month I've made an effort to interact more with my favorite bloggers and I really love it. I've also found a ton of new bloggers to follow through Twitter this month! That's it for my favorites of January! I didn't think I had many favorites until I actually start writing. I'd love to know what you loved this month! Tell me in the comments! Is there anything I should try next month? Let me know that too in the comments below!